This program is available for institutions of any level (Universities & Colleges, High Schools and Public Libraries) in the South Florida Area (Miami Dade, Broward and Palm Beach Counties). Please contact us to set up a Demo and to show you how the MJP user friendly and reliable Print Management System can help you achieve your patron’s service goals without any additional cost to your facility. 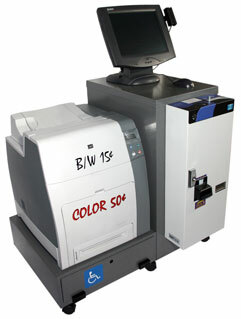 Achieve high quality Color and black & white printing at NO COST to your Facility. Since 2001, MJ Photocopy set a precedence of commitment to the community it serves through vision, aspiration and might, a mission statement it holds true. MJ believes these three essential components are vital to supporting and enhancing a symbiotic partnership in success for all members it serves. 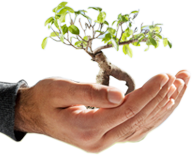 The MJP provides this service based in a mutual revenue share program where MJP is financially responsible for the cost and maintenance including supplies, such as, paper and toner on the system yet returns a commission back to your institution from the collected revenue amount in all the machines installed. Equipment installation and training is provided to your facility by MJP upon approval and signed Agreement. Immediate technical support, as well as, Saturday emergency service. NOTE: Windows Server OS Licenses required by the institution along with all Network Connections. MJP’s Network Print Manager System is available at NO COST to our client facilities. All money collections and accountability is provided in quarterly reports and an additional percentage of return is provided to the facility. Comprehensive Service Call Response Time is less than four-hour return, immediate telephone technical support, as well as, Saturday emergency calls. Efficient, well-equipped machines are compatible with and do not disturb existing network functionality. Reduce dramatically your staff time on printing related issues, public interaction, etc.